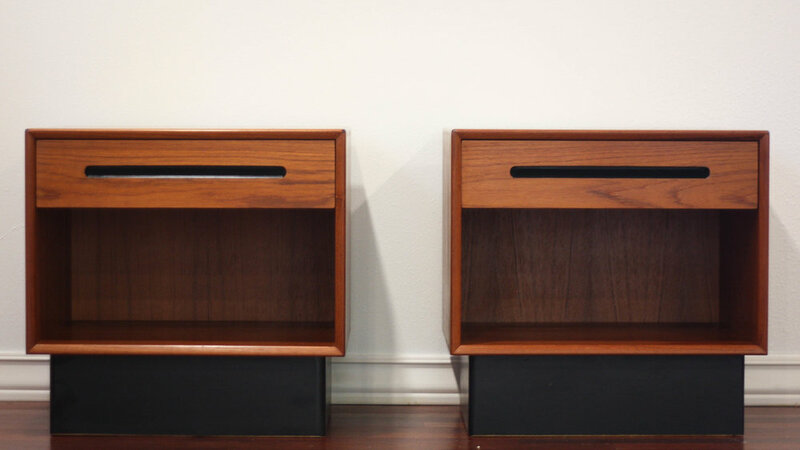 A beautiful pair of nightstands or end tables by Westnofa of Norway. Beautiful teak veneer with black inset handles. A single drawer up top, with a generous cubby space down below. Perfect for hiding all your bedside clutter. 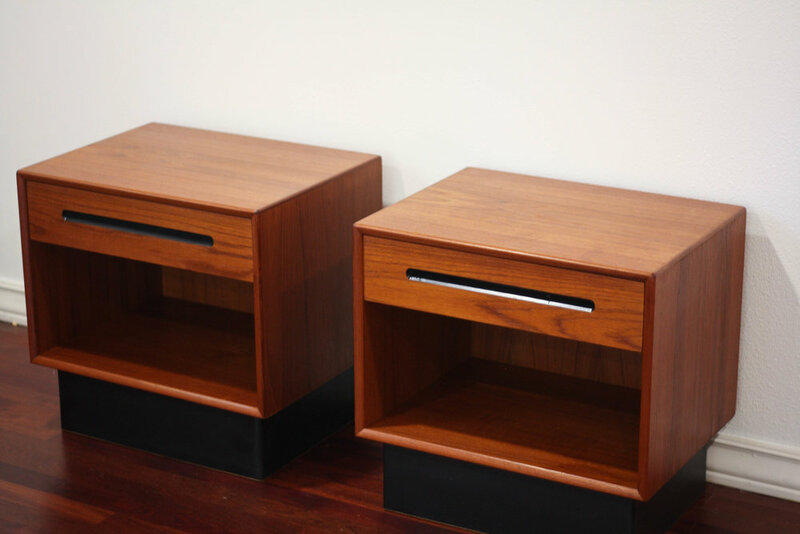 Retains Westnofa label on the back of each nightstand. Drawers slide perfectly and this set is in very good vintage condition with only light evidence of use. See the photos to get idea of how they present. Matching six drawer dresser available in a separate listing.